You can produce various torrefied products like crumbs, briquettes and pellets, depending on post processing options, transport and storage. The resources used can vary also, from biomasses like grass, straw, husks, wood and agro waste, up to pulp paper and plastics (SRF solid recovered fuels), whilst torrefaction transforms it into mono product quality output. 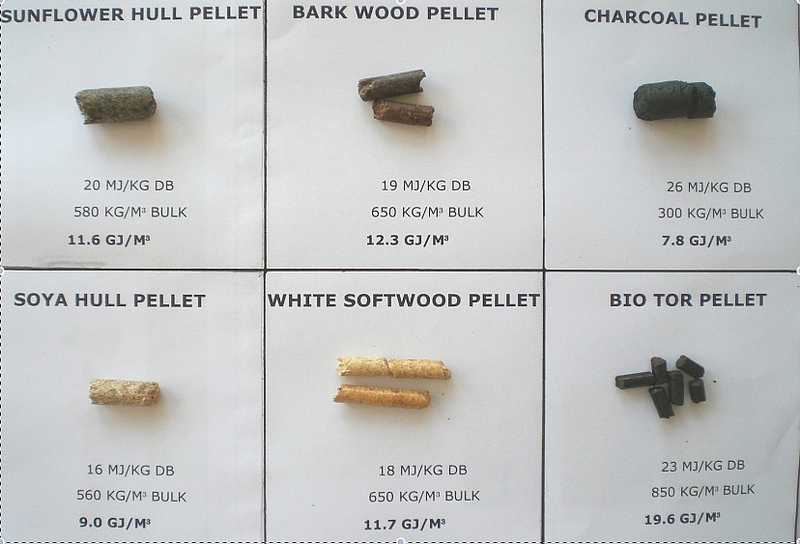 Some other energy pellet products are shown in the picture, one can observe the VERY HIGH energy bulk density of about 20 GJ/m3 of a BioTor pellet, compared to others, making these very similar to coal. The pre-processing (grinding) of this tor product is very easy with an HGI of about 45, making it easy to apply in PC-Boilers. Cofiring ratios of tor products has not exactly been determined yet, but we expect we might go up as high as 50 %, versus wood pellets practical maximum of 12 %.